To be honest, I sort of feel like 'movie actor' isn't of this time. I love it. But it's a 20th-century art form. When I arrived at Columbia, I gave up acting and became interested in all things French. French poetry, French history, French literature. I think the dual existence thing is a regular pastime for all human beings, and for that matter anything in this universe. Making checklists of things you're looking for in a person is the numero uno thing you can do to guarantee you'll be alone forever. Normally, it's difficult for me to watch a movie that I'm in. The career stuff is for business people. There's no royalty in America, so people deify actors. I was a sort of serious little dude, snobby. On some level, we as human beings can be who we want to be. The media's about to become a lot more effective. New Updates! (4/18/2019) We've been working really hard on completing our membership system so you can submit quotes and keep track of them. Once this is complete in the coming weeks there will be a lot more quotes by Joseph Gordon-Levitt and other authors. 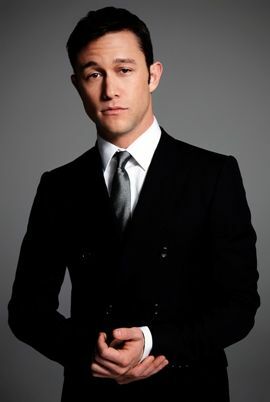 We've also changed the sorting on the site so you now see the latest Joseph Gordon-Levitt quotes first. Our goal is to have the best Joseph Gordon-Levitt quotes on the web!